Kami Speed has been an authorized dealer of Swift springs for 7+ years now! Every spring has been tested and proven to be the best on the market! 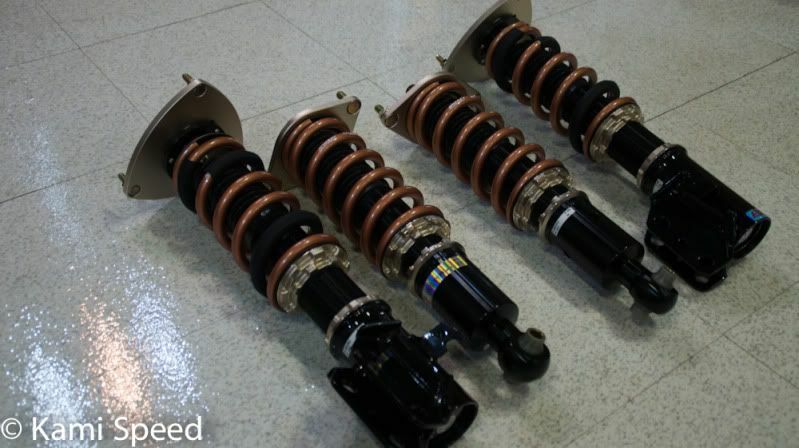 We have amazing deals on the "Spec-R Springs " and also the "Metric Coilover Springs " for your Mini Cooper!! The Swift Spec R Springs for the Mini Cooper were made for the true track racing enthusiasts that wants to take their sports car to the next level. Sport Springs Spec-R is engineered with 2 main characteristics. 1.Redesign lowering ride height to maximize the suspension performance allowing the vehicle to fully absorb road condition for maximum traction. 2. Increase in spring rate to further enhance cornering speed through entry & exit. The increase in spring rate is based on the vehicle factory stock valving settings. The Spec-R is increased to the optimal rate that the stock shocks can handle. Higher performance shocks are not required, but recommended. Use Coupon Code " swift10 " for $10 off Swift Springs for your Mini!!! PM me for better pricing on our Swift products for your Mini Cooper!!! Last edited by Kami Speed; 01-23-2014 at 11:10 AM. Last edited by Kami Speed; 01-09-2014 at 12:22 PM. Last edited by Kami Speed; 01-10-2014 at 10:12 AM. Last edited by Kami Speed; 01-13-2014 at 10:08 AM. Last edited by Kami Speed; 01-14-2014 at 10:08 AM. Last edited by Kami Speed; 01-15-2014 at 12:41 PM. Last edited by Kami Speed; 01-16-2014 at 11:06 AM. Last edited by Kami Speed; 01-17-2014 at 11:19 AM. Last edited by Kami Speed; 01-21-2014 at 11:10 AM. Last edited by Kami Speed; 01-30-2014 at 11:06 AM.